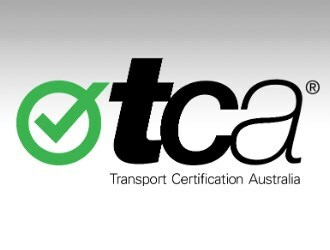 Transport Certification Australia (TCA) has unveiled a certified telematics service (CTS) in response to calls for independently certified and audited telematics systems and associated services. CTS forms part of the TCA national telematics framework and leverages TCA’s established certification and audit framework for telematics and other intelligent technologies. The organisation says CTS forms part of the TCA national telematics frameworkand leverages TCA's established certification and audit framework for telematics and other intelligent technologies. CEO Chris Koniditsiotis says CTS "references a nationally agreed suite of technical, functional, business and legal requirements" that has International Standards Organisation (ISO) recognition. "With the near-ubiquitous use of GPS-enabled telematics across a spectrum of applications, some may be inclined to think that all systems and services are created equal, and perform as intended - but this is most certainly not the case," Koniditsiotis says. "When so many are now turning to the use of telematics to manage contracts, service levels and duty of care obligations, the implications of not being able to rely on telematics systems and services can be far reaching." Koniditsiotis says any situation where the accuracy and quality of data is open to scrutiny − including access to data by third parties − can have serious consequences. He says TCA has found major discrepancies in the accuracy, reporting frequency, reliability, performance and security of telematics systems during certification processes. "It is only when things go wrong that deficiencies are brought to light. Indeed, this has been the key motivating factor behind the call for CTS," Koniditsiotis says.